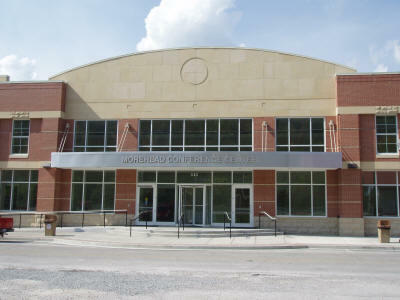 The meeting will take place at the Morehead Conference Center at 4 p.m.
Community leaders will hold a meeting Monday in Morehead to discuss the fate of the Kentucky Folk Arts Center and the Laughlin Health Building project. Morehead City Council and the Rowan County Fiscal Court will hold a joint special meeting at 4 p.m. at the Morehead Conference Center with representatives from Morehead State University. The two government entities, along with the Tourism Commission, had previously agreed to provide money for the KFAC and considered leasing the Laughlin Health Building from MSU for recreation. Mayor Laura White-Brown says she fully supports the Folk Arts Center but has reservations about the Laughlin project. The Fiscal Court recently decided not to participate in a proposed agreement, leaving the decision and additional costs, for the City and Tourism Commission.